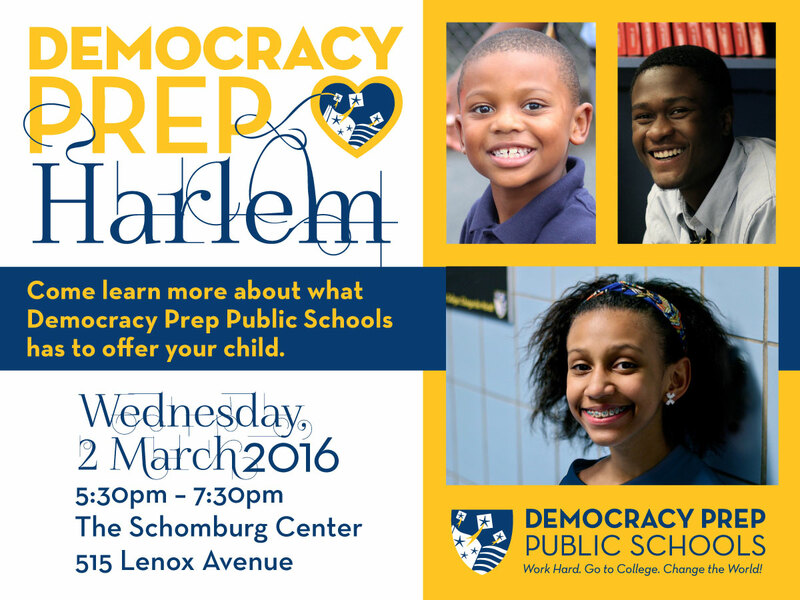 Come learn more about what Democracy Prep Public Schools has to offer your child! On March 2, we will be hosting our first community enrollment event. 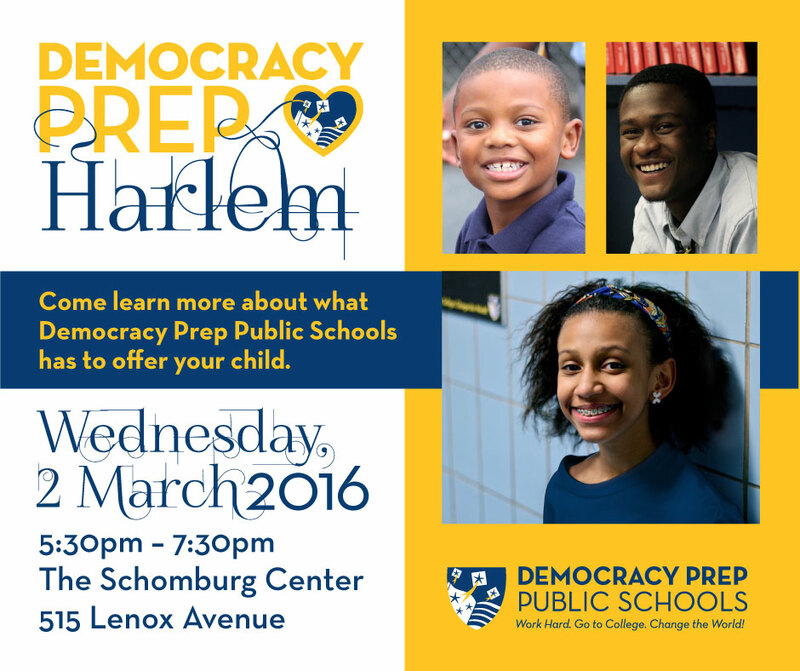 DPPS teachers and staff will be on hand to answer questions, share stories, and provide information to parents who are interested in learning more about the benefits of a Democracy Prep education. Help us spread the word about this event by sharing these graphics with your friends, family, and social networks. Your support is appreciated!